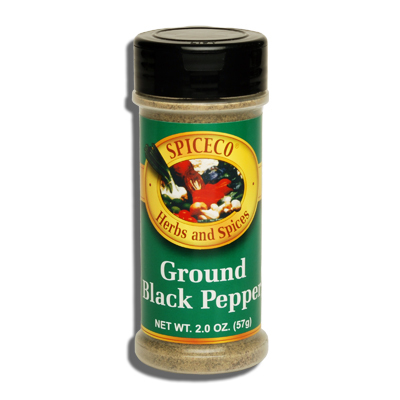 SPICECO, GROUND BLACK PEPPER (SMALL) | Bende Inc.
Spiceco, Ground Black Pepper (small). This excellent black pepper is used in soups, pickling meat stews and wherever fine pepper is required. 2.0 oz (57g).